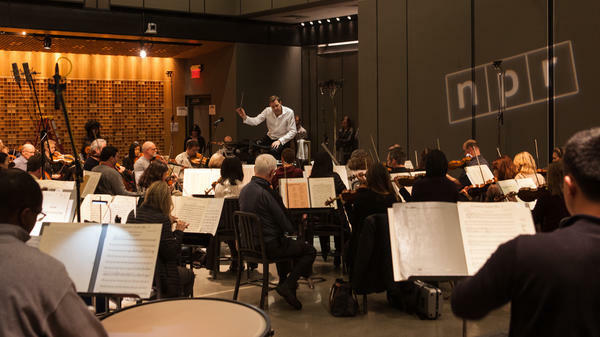 The National Symphony Orchestra plays in Studio 1 at NPR headquarters. Steven Reineke, the NSO's principal pops conductor, says the experience was both gratifying and surprising. "The whole experience has just been so much fun, from the first time I heard about this, but it really didn't take full shape until today," Reineke says. "We had a bunch of music selected, but we didn't know exactly what we were going to play or where we were going to play it ... I'm starting to feel like what Toscanini must have felt like with the NBC Orchestra." 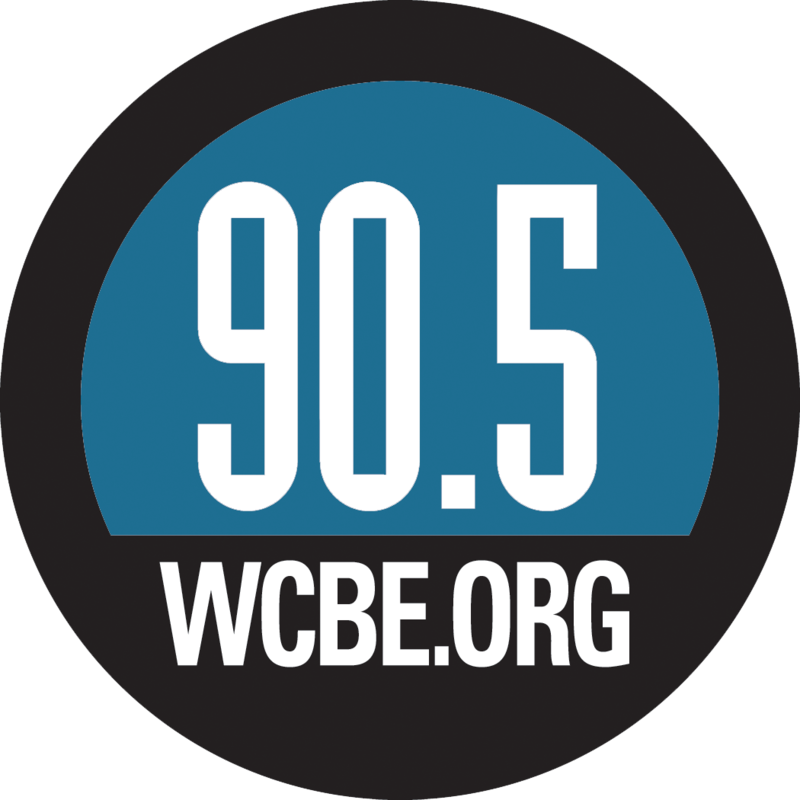 Hear NPR's Audie Cornish speak with Reineke and NSO trombonist David Murray at the audio link. Now, hopefully you've noticed something special about today's show. NPR has a tradition of inviting musicians in for a day to play the music that you hear live in between reports. And we began this about five years ago with a band. Needless to say, this year we kicked things up a notch. In this segment, I am here in studio one in front of some 70 musicians from the National Symphony Orchestra. Let me just double check. Hey, everybody. CORNISH: (Laughter) Sounds good. I'm joined here at the microphones by the principal pops conductor, Steve Reineke, up in the big chair. Hi there, Steve. STEVEN REINEKE: Hi, how are you, Audie? CORNISH: And NSO trombonist David Murray across from me sans trombone thankfully 'cause we're sitting kind of close. DAVID MURRAY: Yeah, the microphones are a little closer this time around. CORNISH: Yeah. (Laughter) This has been really exciting for us because, I mean, even we at NPR, we're used to seeing you guys at nationally televised concerts and official celebrations. So, Steven, what was it like for you not just being here today, kind of - this was such an operation - but also kind of fooling around with the themes and music? REINEKE: Well, the whole experience has just been so much fun from the first time I heard about this. But it really didn't take full shape until today. We had a bunch of music selected, but we didn't know exactly what we were going to play or where we were going to play it, how they were going to intersperse within the news items. So it was fun to figure all that out. And things were changing on the fly. And, you know, being here all day long, rehearsing, it really reminded me - I'm starting to feel like what Toscanini must have felt like with the NBC Orchestra. REINEKE: This is really a throwback harkening back to the days of radio orchestras. This country just doesn't really have them anymore. But it's fascinating. CORNISH: David, what's it like for you to I guess kind of join that kind of tradition? MURRAY: Yeah, it's quite a thrill for sure. You know, I can feel the energy within the orchestra. They were really on point and really excited to bring these sort of various types of styles, various periods of music and different countries coming together and being a part of something as iconic as ALL THINGS CONSIDERED. CORNISH: You're like, oh, that's me. CORNISH: You know, you also played music that's, like, in the public domain, right? So this is an opportunity to really kind of remind people of the classics, so to speak. How did you think about those choices, Steven Reineke? REINEKE: Well, we wanted to do some things that were very standard repertoire, like the Beethoven "Fifth Symphony," the first movement. Of course that's very famous. Everybody knows that. But other works that aren't done all the time, like Chabrier's "Espania." Of course, most people probably know "The Firebird Suite," the music by Stravinsky. But just a wide array of different music, some very popular, some not as well-known. But we did keep it to music from the public domain that is really standard in the orchestral classical world repertoire. CORNISH: And it's nice because it feels like it belongs to all of us, frankly (laughter). CORNISH: And David, for you, I mean, just what was it like kind of playing I guess on deadline? MURRAY: Well, you know, it's something that when we're on stage, it's an organic process, and we are feeling the music and the preparation before the first downbeat. And here in the studio, we're waiting for cues from the booth. And our instruments are up, ready to go, and Steven has his baton ready to go. And we're like, OK, come on, when's it going to happen, you know? So, you know, it's almost like a thoroughbred out of the gate. CORNISH: Now, I understand you're going to play us out on Mozart's "The Marriage Of Figaro." Is that correct? CORNISH: All right. Well, National Symphony Orchestra principal pops conductor Steve Reineke and trombonist David Murray. Thank you both for joining us. CORNISH: And thank you to all the musicians today performing in studio one. That's the National Symphony Orchestra playing "The Marriage Of Figaro" in our studios. It has been a total delight having them here to brighten up this Monday. Kudos, too, to ALL THINGS CONSIDERED producer Monika Evstatieva, who dreamed this up. Transcript provided by NPR, Copyright NPR.